Purchase NGwear sweat proof undershirt and enjoy No-Risk shopping. You never know the quality of our products until you try it out. We guarantee the product quality and comfort of our sweat proof undershirts. In case you would have any kind of difficulty regarding size or don’t like the quality of our product, we can either offer you another product of different size, or we can issue a refund. This offer is valid for your very first purchase of one sweat proof under shirt. This first purchase guarantee applies to only one product. We would suggest you purchase one sweat proof undershirt on the very first order. This product is available across the Indian market. Return requests or exchange must be done within 30 days of your purchase. In case of exchanging the product, we will deliver the product to your place. Feel free to dial our customer support team, or you can contact through an e-mail. Please note that when you contact our customer support team, you might be asked to provide your order number while exchanging the product. What to do, if I want to purchase more than one product at a time? The first purchase guarantee from NGwear covers one product at a time. The first purchase guarantee is for the first time buyers, asking them to give it a try. We highly suggest you purchase only one item with the first order. It does not matter how many items you buy, our policy is stiff, and we are bound to offer the first purchase guarantee on one product only. In case you decide to purchase multiple items on the very first purchase, we would suggest you open only one item and try. If you are not satisfied with the product and willing for the exchange of your items, you have to send back the unopened products and pay for the return. Returned products must be unused, unwashed, unharmed and in their original packaging. If available, NGwear can offer you a discounted amount return shipping label. Otherwise, you can send them back through any carrier of your preference. First Purchase Guarantee (FPG) is applicable to only one product. We highly suggest you order only one product for trial. In case, you opt to exchange your FPG product, you will have to contact the customer support, and we will deliver it to your place for free of cost. You can also e-mail us for issuing your exchange or return of your FPG product within 30 days of buying. The product that needs exchange/return must be shipped back to us. What if I like the product but willing to exchange my sweat proof shirt for different style? Well, First Purchase Guarantee does not include the exchange of your sweat proof undershirt for a different style. In case you’re willing to exchange your first purchase for different colour or style, we need to receive the original product first. In case, you do so; your product will get the satisfaction guarantee 30-day return policy from NGwear. Is the shipping cost refundable in case I don’t like the product? Standard shipping across India orders are free so you don’t pay for any shipping in the first place. I have ordered one in the first purchase, and now I am willing to return the product. In case, this is your first time purchase with NGwear, and now you are willing to return your sweat proof undershirt, you need not worry about it. You just have to e-mail the customer support team. You have to include the subject FPG Return and mention the order number in the subject line. Write your experience with the product, right in brief, why you don’t like our product and send it. We will issue a refund of your product as soon as we receive the undershirt back.. I have purchased numerous items in my first purchase, and now I am willing to return them. The first purchase guarantee is applicable only on the very first sweat proof undershirt. In case, you are willing to return the additional products you have ordered; the unopened products must be returned within 30 days of your purchase. You just have to e-mail the customer support team. You would have to include the subject FPG Return and mention the order number in the subject line. Write your experience with our product, right in brief, why you don’t like our product and send it. As soon as we receive your request along with your product that you are willing to return (except the first product you have tried), we will issue the refund of each product. The amount of the NGwear on the return label will be reduced from your return. Please note that if you open more than one undershirts, you will get refund only for ONE. *Note: NGwear does not cover the expenses of return shipping. You can opt for your preferred carrier for the return. Unopened products and the first product you tried on are qualified for a refund. 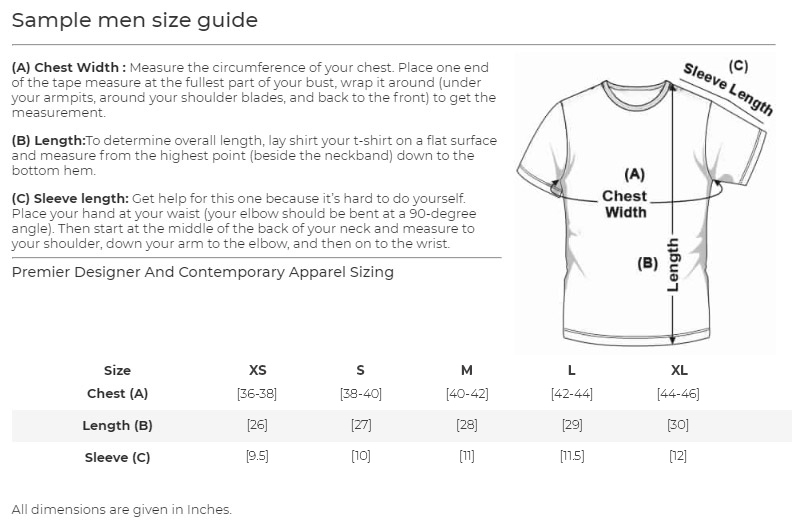 Suppose you have purchased four V-Neck sweat proof undershirts in different sizes (2 small, 1 medium and 1 large). You’ve opened the first 2 small undershirts, tried the second undershirt which is medium size and have not unboxed the third one, which is large size sweat proof undershirt. As per our return and exchange policy, NGwear will issue a refund of the second under shirt that you tried, but you will have to return the product to us. The first two products have been unboxed, and hence, you would not be allowed to return the product. The third one has not been unboxed, and this product is eligible for return within 30 days. NGwear will not pay the shipping cost for your return. I have bought one product in my first purchase, and now I am willing to exchange. In case this is your first time purchase with NGwear, and now you are willing to exchange your sweat proof undershirt, you need not worry about it. You just have to e-mail the customer support team. You would have to include the subject FPG Return and mention the order number in the subject line. Write which size you want, and we will ship the new one at your place for free of cost. You will, however, have to send back the product you want to exchange. Please be informed that the new product will be sent only after we receive the product you bought in the first purchase. I have purchased multiple products in my first purchase, and now I am willing to exchange them. The first purchase guarantee is applicable only on the very first sweat proof undershirt. In case, you are willing to exchange the additional products you have ordered; the unopened products must be returned within 30days of your purchase. You just have to e-mail the customer support team. You would have to include the subject FPG Multiple Exchange and mention the order number in the subject line. Tell us, which size do you want and send it. As soon as we receive your request along with your product that you are willing to exchange, we will ship the new products to your address. *Note: NGwear does not cover the expenses of return shipping. You can avail a full refund of orders exchanged or returned within 30 days of your purchase. All products must be unwashed, unharmed and unworn and in their original packaging. *Note: following your first buy we cannot accept returns for unboxed products. What is the process of exchange or return? Send an e-mail to the customer support team. Write Return or Exchange in the subject line and provide your order number. Write in brief, why you didn’t like our product or what kind of exchange you would like to go for. Note: NGwear does not cover the expenses of return shipping. Why do you want to know the reason for my return? NGwear is continuously working to develop their products. Your feedback is precious to us. Your feedback will help us overcome the shortcomings of our product. Your feedback can help our designers to understand the issue and required improvements to the product.